The derivative market was introduced in India in the year 2000 and since then it’s gaining great significance like its counterpart abroad. The popularity of derivative can easily be understood by daily turnover in the derivative segment on the exchange, which is much higher than turnover in the cash segment on the same exchange. What is a Derivative Market? A derivative is a financial contract which derives its value from one or more underlying assets. The underlying asset could be stocks, commodities, bonds, currencies, market indexes or interest rates. Derivatives can either be exchange-traded or traded over the counter (OTC). Derivative traded on the exchange are standardized and regulated. On the other hand, OTC derivative constitutes a greater proportion of derivatives contracts, but it carries higher counterparty risk and is unregulated. These financial instruments help in making a profit by simply betting on the future value of the underlying asset. Hence the name derivative as they derive the value from the underlying asset. For instance, Derivative contracts are used by the wheat farmers and baker in order to hedge their risk. The farmer fears that any fall in price would impact his income and hence enters the contract to lock in the acceptable price for the given commodity. On the other hand, the baker in order to hedge his risk on the upside enters the contract so that he does not suffer losses with a rise in price. The derivative contracts can be used to hedge your securities from price fluctuations. The shares which you posses can be protected on the downside by entering into a derivative contract. Moreover, it also protects you from the rise in share price which you plan to purchase. This is the most important use of derivative which helps in transferring risk from risk-averse people to a risk-seeking investor. The risk-seeking investor can enter into a risky contrarian trades to gain short-term profits. While the risk-averse investor can enhance the safety of their position by entering into a derivative contract. Arbitrage trading simply means buying low in one market and selling high in another market. So with the help of derivative contracts, you can take advantage of price differences in two markets. Thus it helps in creating market efficiency. These are traders who wish to protect themselves from the risk or uncertainty involved in price movement. They try to hedge their position by entering into an exact opposite trade and pass the risk to those who are interested to bear the same. By doing this they try to get rid of the uncertainty associated with the price. For example, you are 1000 shares of XYZ Ltd. and the CMP is Rs 50. You are planning to hold the stocks for 6-9 months and you except a good upside. However, in the short term, you feel that the stock might see a correction but you do not want to liquidate your position today as you are expecting a good upside in the near term. For example, you can enter into an options contract (a part of the derivative strategy) by paying a small price or premium and reduce your losses. Moreover, it would help you benefit whether or not the price falls. This is how you can hedge your risk and transfer it to someone who is willing to take the risk. They are extremely high-risk seekers who anticipate future price movement in the hope of making large and quick gains. The motive here is to take maximum advantage of the price fluctuations. They play a very key role in the market by absorbing excess risk and also provide much-needed liquidity in the market when normal investors don’t participate. Arbitrage is a low-risk trade which involves buying of securities in one market and simultaneous selling it in another market. This happens when same securities are trading at different prices in two different markets. For instance, say the cash market price of a share is Rs 100 and it is trading at Rs 110 per share on the futures market. An arbitrageur observes the same and bought 50 shares @ Rs 100 per share in the cash market and simultaneously sells 50 shares @Rs 110 per share, thus gaining Rs 10 per share. There are four types of derivative contracts which include forwards, futures, options, and swaps. Since swaps are complex instruments which we cannot trade in the stock market, so we’ll focus on the first three. It is a customized contractual agreement between two parties where they agree to trade a particular asset at an agreed upon price and at a particular time in future. These contracts are not traded on an exchange but privately traded over the counter. These are standardized version of the forward contract which takes place between two parties where they agree to trade a particular contract at a specified time and at an agreed upon price. These contracts are traded on the exchange. It is an agreement between a buyer and a seller which gives the buyer the right but not the obligation to buy or sell a particular asset at a later date at an agreed-upon price. What are the prerequisites to investing? 1. Demat account- It helps in storing the securities in the electronic form and it is unique to every trader and investor.  Also Read: How To Open A Demat Account? 2. Trading account– This is the account which helps you in making actual trades. The account number is unique to every person and it can be used to construct your identity in the market. 3. Margin Maintenance– The margin requirement is unique to trading in the derivative market, though many use margins to conduct trades in cash market as well. There are basically three types of margin in derivative trading. It is the initial cash which you must deposit in your account before you start trading. This is required to ensure that the parties honor their obligation and provides a cushion to the losses in the trade. In simple words, it is like the down payment for the delivery of the contract. It is a cash balance which a trader must bring to maintain the account as it may change due to price fluctuations. Maintenance margin is a certain portion of the initial margin for a position. If the margin balance in the account goes below such margin, the trader is asked to deposit required funds or collateral to bring it back to the initial margin requirement. This is known as a margin call. As soon the margin falls below the maintenance margin, you need to deposit cash or collateral to bring the account back to the initial margin. How to trade in derivative market? It is very important to have a full research before entering into the derivative market. However, note that the strategies need to differ from that of stock market. For instance, in cash market, you bought a stock as you expected it rise in future, but in the derivative market you may also enter into a buy or sell transaction and hold until expiry, unlike the cash market.Hence, you should make your research accordingly. The derivative contract may require you to maintain the margin amount. So unless and until your trade is settled, you cannot withdraw this amount from your trading account. Moreover, the margin amount keeps changing with the rise or fall in stock price, thus its always advisable to keep some extra money in your account. Make sure that your account permits you to trade in the derivative contract. If not, contact your broker to activate the required services. You can start trading once this is done. Select the stock, the strike price you want to trade and the margin requirement. Based on your cash in hand, plan it properly in a manner which suits your budget. You can book the whole amount or can wait until expiry to settle the contract until you get your desired price. If the futures value at expiry is below the spot price, you may suffer losses. In simple words, buying futures and options is equivalent to simply buying stocks of the underlying company, but without any actual delivery. You can enjoy the same upside or the downside, the way it affects your underlying stocks. Thus, you can trade in the index or stocks in the derivative market, the same way you do in the stock market. 1. Call option– It is an agreement which provides the investor the right but not the obligation to buy a specified amount of an underlying security at a stated price within a specified time. 2. Put option– It is an agreement which gives the owner the right, but not the obligation to sell stated quantity of the underlying security at a specified time and stated price. 1. Long call (C+) – A trader is said to have gone long on a call option if he/she purchases call option on a stock or an index. You start benefiting when the stock goes up, however, if it undergoes a correction, your risk is very limited on the downside to the extent of the premium paid. 2. Long Put (P+) – It happens when a person purchases put option on a stock or an index. You expect the price to go down in order to benefit from the trade. The maximum risk here is also limited to the premium paid and you will start benefiting once the price goes below the strike price. 3. Short Call (C-) – You will sell or write a call if you expect the price to come down. The trader will receive the premium so as to allow the other party to enjoy on the upside. It is a high risk and low reward strategy. The losses here can be unlimited if the price starts rising above the strike price. 4. Short Put (P-) – A trader is said to have gone short on a put option if he/she sells put option on a stock or an index. You will receive premium so as to allow the other party to enjoy the downside. It’s a bullish strategy and you will start suffering losses if the price starts coming down. You bought a share in a company which you think will rise in the medium to long term but at the same time a little bearish or neutral in the short term. So in order to tackle such a scenario, a covered call is a good strategy; he takes a short position in the call option to generate income from the option premium so that he gets a little cushion on the downside. This is a synthetic strategy which is equivalent to selling a put premium. Buying a stock (S+), Selling a call (C-) is equal to Selling a put (P-). Here, the reward will be the premium paid plus the difference between the share price and the price paid to purchase it. However, this strategy may be little risky if it starts falling down significantly. An investor who holds a particular share but he is worried about the downside can insure it by buying a put. He can protect his downside by simply paying a small premium to purchase the put option on the same asset. This is a good strategy when you expect the market to be very volatile and you are not sure of the direction it will go. Buying a stock (S+), Buying a put (P+) is equivalent to Buying a call (C+). The trader is better off in this strategy no matter price travels in whichever direction, but in case it consolidates in a tight range you may end up losing the put premium. There are two different types of settlement in a derivative market: Cash Settlement and Physical Settlement. In case of physical settlement: actual delivery of the underlying asset takes place. While in case of cash settlement: only net cash is settled upon the expiry of the contract. In cash settlement, no physical delivery takes place. Under this method, there is no physical delivery of the underlying asset. Instead, only the net cash position is transferred. Suppose a purchaser of a gold futures contract wants to settle the contract in cash, then he/she needs to just pay the difference between the Spot price and Futures price. In this case, the purchaser is not required to take the physical ownership of gold. Future Contracts are mostly cash settled as the exchange oversees these contracts thereby ensuring smooth execution. Example– Say you go long on 10 wheat contracts whose current market price is Rs 500 per contract. On contract expiration (assuming it after three months), the price contract went up to Rs 600. Rs 600 (Final price) – Rs 500 (Entry price) = Rs 100 per contract. In this method, the physical delivery of the underlying asset takes place, upon expiry of the contract, instead of being cash settled. The maximum number of derivative market transactions are traded before the delivery date and may not necessarily be exercised upon expiration. Physical settlement mostly occurs with commodities but it can also take place with financial instruments. The physical settlement process is carried out by either the Clearing Broker or their agents. The sale and the purchase of the underlying asset are reported by the regulating exchange’s clearing organization at the previous day’s settlement price (generally the closing price) shortly after the last trading day. Traders who took up a long position in the futures contract are obliged to buy them at the current price while those who hold a short position in the asset are required to deliver the asset at the settlement date. Based on the trading style, strategies and the amount of fund with the trader, it should be pre-planned accordingly. You may also plan your strategies combining both futures and options. Please remember, derivative trading is a very risky instrument and it’s important to have a thorough understanding of derivatives market before executing it practically. Traders use different instruments for different time frames. For instance, options are popularly used by the swing traders and futures contract are mostly used by day traders and they avoid holding positions overnight. Moreover, it’s very important to work with proper stop loss and you can even trail your stop losses with every increase in price.